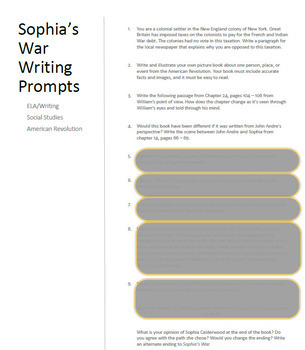 Do you need to cover the American Revolution and review reading comprehension standards? 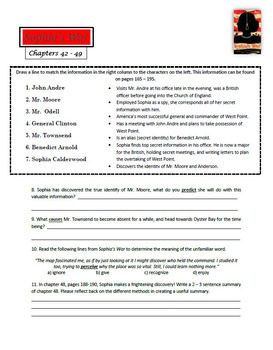 Do you want your students to fall in love with reading while grasping what life was like during the American Revolution? 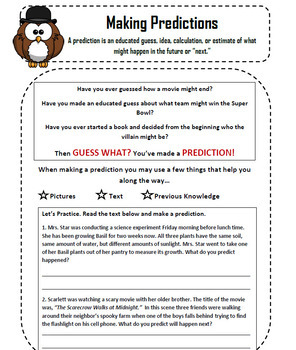 Do you want to read a chapter book in small groups but don't have enough time to create something on your own? Well don't worry because I've done it for you. I've read this book with my 5th graders three years in a row and they absolutely love it. 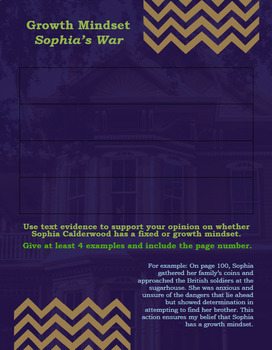 Be sure to read Sophia's War by: AVI before getting started. Although this chapter book was created for young readers it is covering the sensitive topic of war.